This classic table will surely make quite a statement as the focal point of your dining room. The Design Designed in 1966, the Platner Libo Dining Table is truly a unique piece. 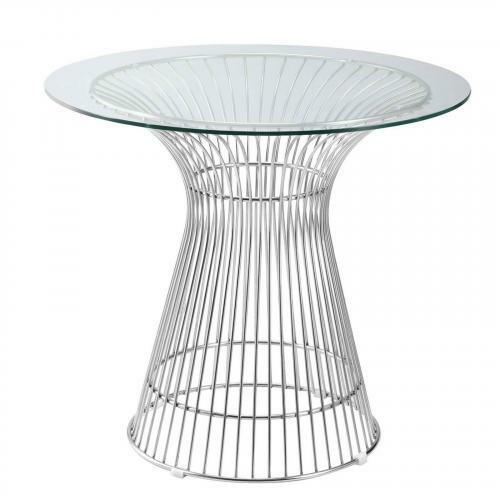 Considered by many to be a design icon of the modern era, the Platner Table's harmonious forms are created by welding curved vertical steel wire rods to circular frames, producing a moire effect. Decorative, gentle and graceful, the Platner Dining Table is truly one of a kind. An elegant latecomer to the mid-century modern movement, This item is a high quality reproduction of the original.